Here is a graph tweeted this morning by Bjorn Lomborg. 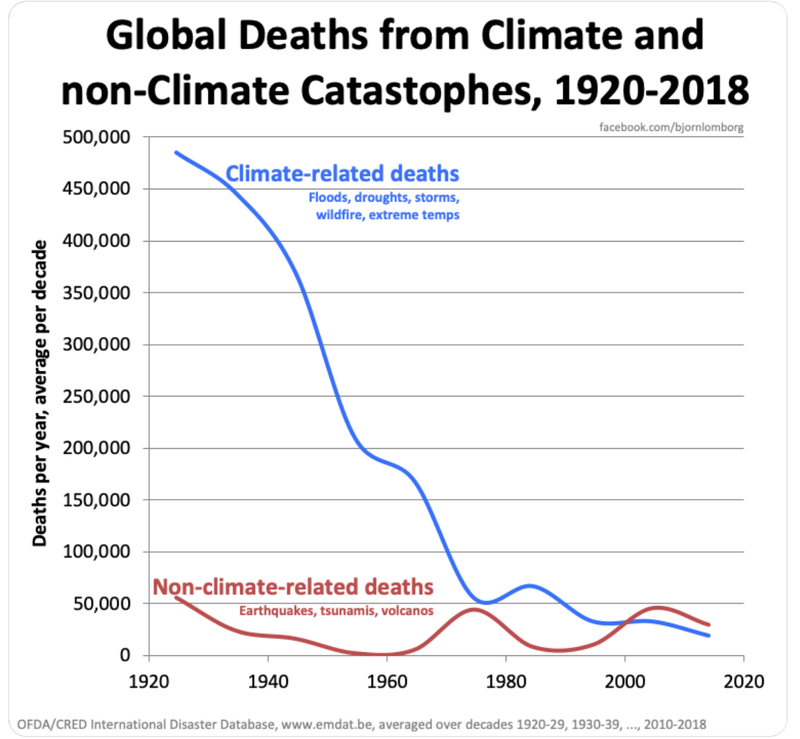 It is global death risk from weather from 1920-2018 (typos not withstanding). 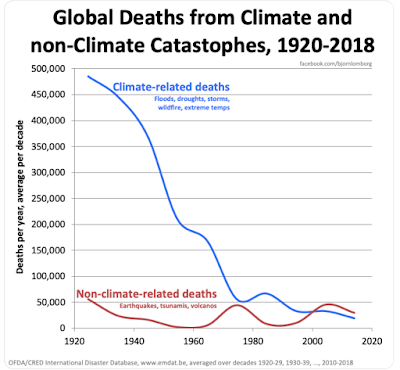 Death rates from weather/climate hazards are down one hundred-fold! Less success has been achieved in other natural hazards. Meteorologists have done and are doing remarkable work. And, right now, many of them are working without pay because of the shutdown. 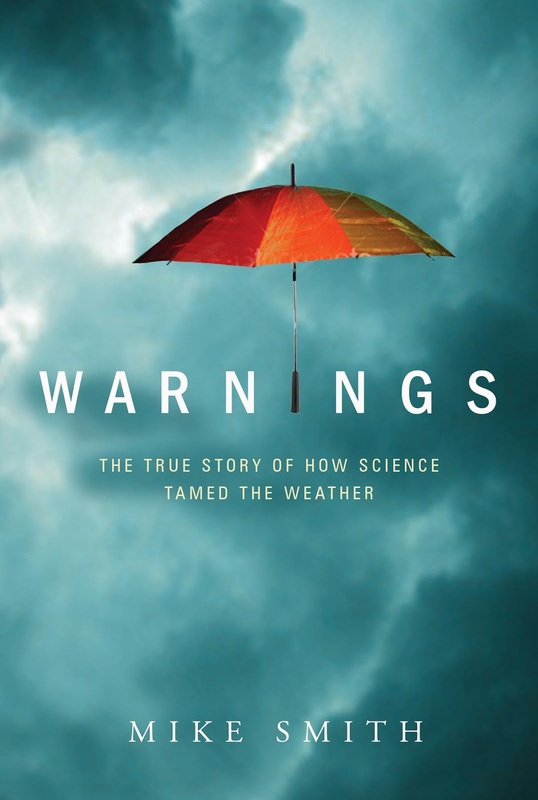 The story of this under-recognized Nobel Prize quality achievement is the topic of my book, Warnings: The True Story of How Science Tamed the Weather. The book is an easy, uplifting read about people and science at their best. Amazon has re-stocked from the holidays and they have dropped the price of this hard-cover book to an amazing $14.64. Pick up a copy and learn how weather science makes our world better every day.